VICTORY. If you read my post about trying to find Capri a doll that was not white, not plastic and more eco friendly you will understand my victory. If you didn’t read it you can read it here. 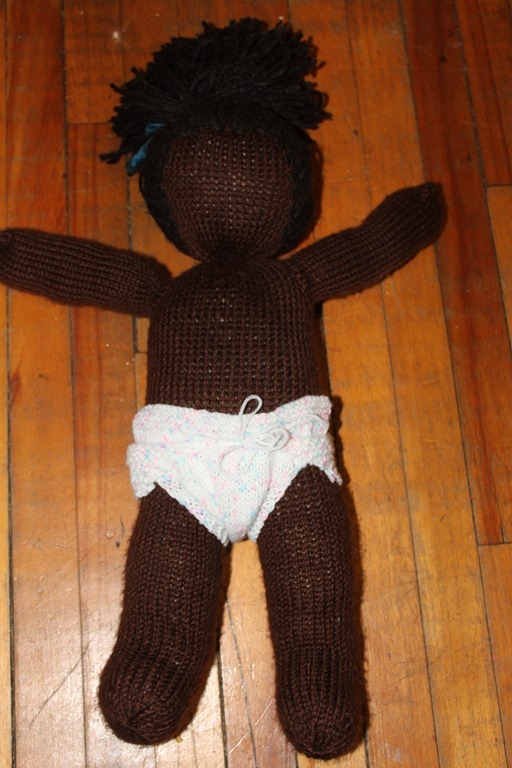 After searching the web for a doll for Capri I finally realized I would need to take matters into my own hands. Okay well not really my hands because I can’t knit but a friends hands and needles. 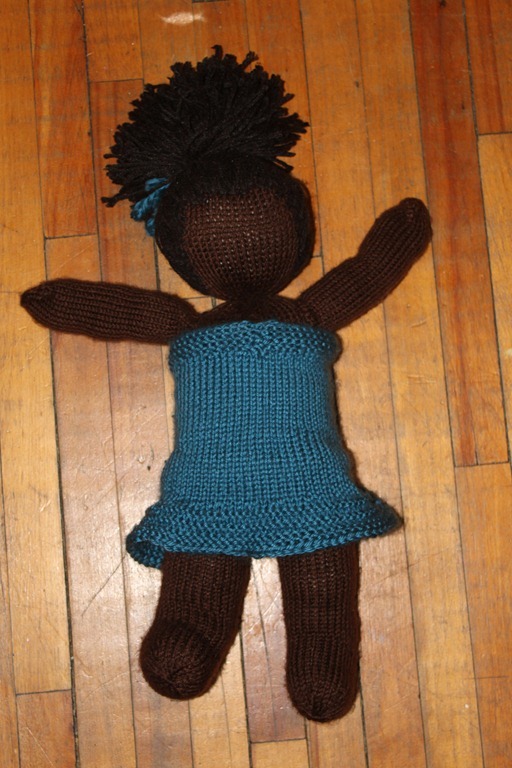 I asked my friend Stephanie if she would be willing to knit Capri a doll and she said yes. I am in LOVE with this doll, and so is Capri. She has a cute little diaper and dress. I just love her. 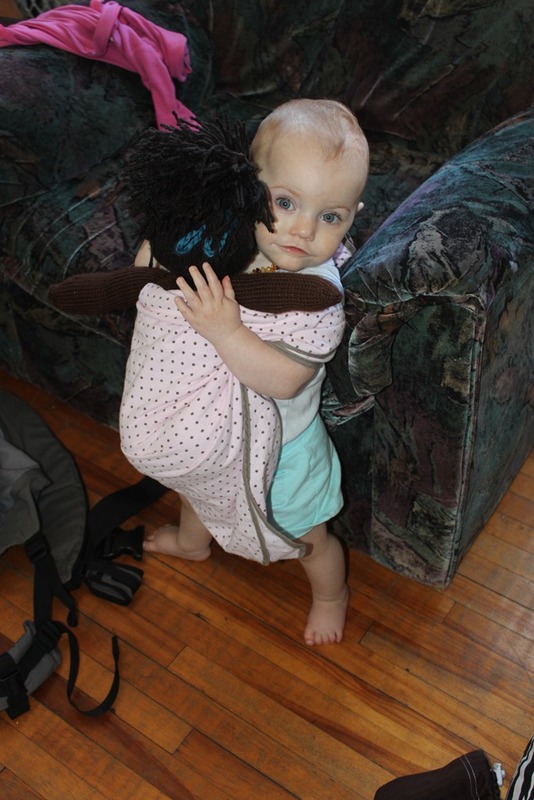 She is about 18inches tall and Capri loves to carry her around and snuggles with her. She even likes to wear her. Thank you so much Stephanie. 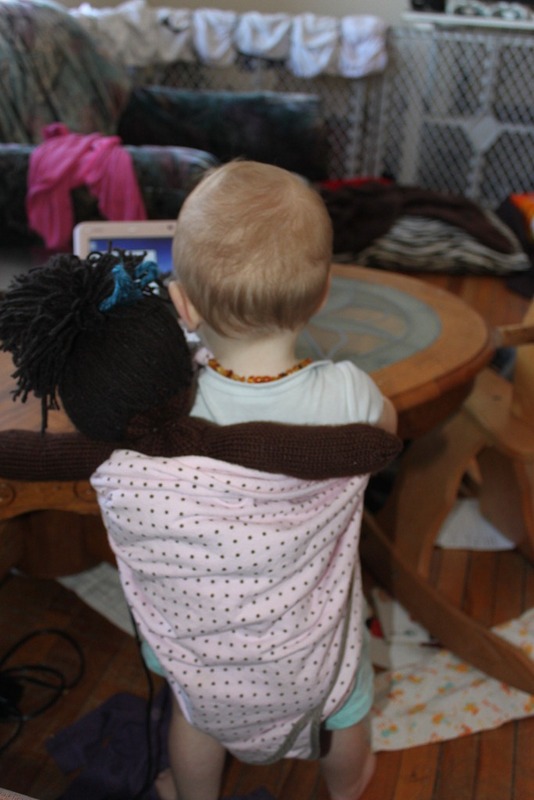 I love this doll so much and Capri is thrilled with her.